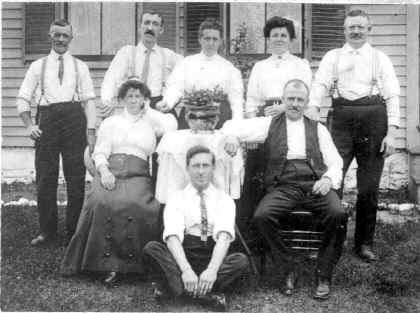 1st row on right, Robert Etchells, possibly son, Enoch Etchells, and wife Sarah (Mills) Etchells. People in back other relatives from Lancashire England. Picture around 1910 USA. 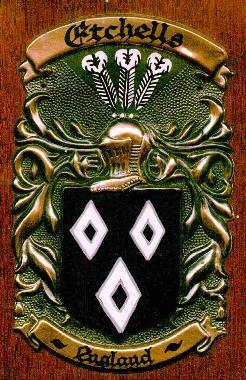 (see "Crest Document" on another image for more details). Details of the 1971 order. 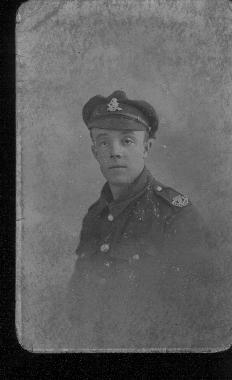 This is my Great Grandfather, Edward Stanley Etchells (b. 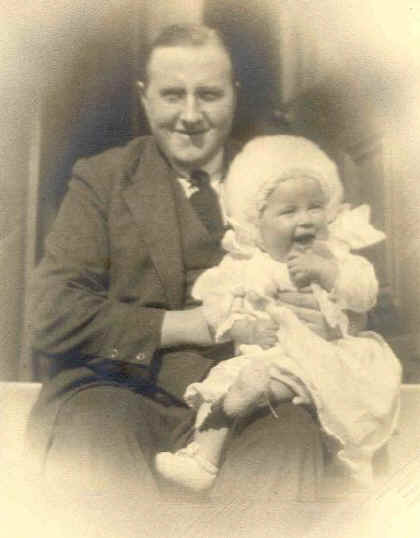 17.6.1889 in Kirbythore near Carlisle, England) holding my father Edward Marley Etchells (b. 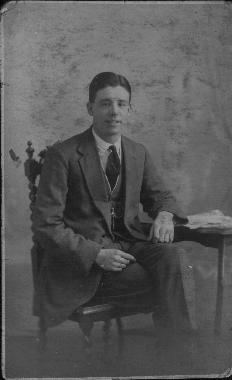 2.2.1923 in Huddersfield, Yorkshire, England). Picture taken in 1923. Letter written by Edward Stanley in 1897 on another image. 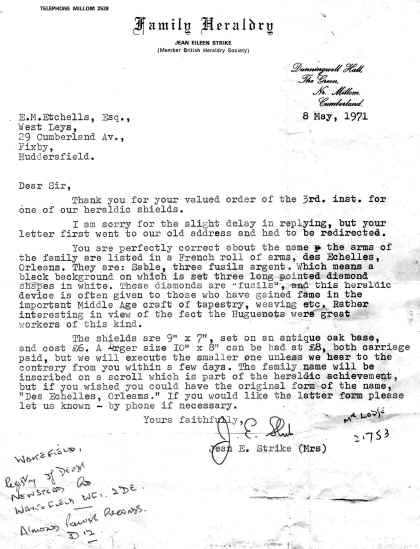 This letter was written by Edward Stanley Etchells (my grandfather and shown holding my father on the photo) aged nearly 8 (b. 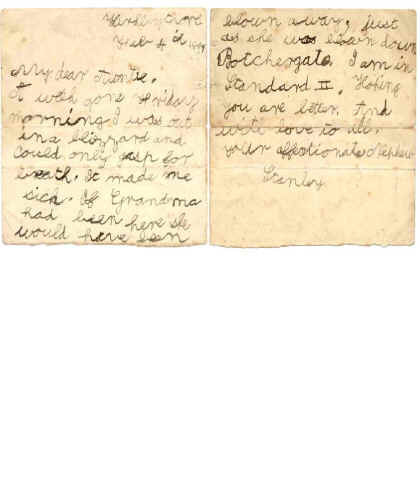 17.6.1889) on 4th Feb 1897 when living in Kirbythore to his aunt (who was that?!). 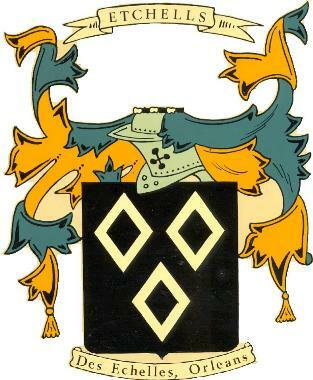 His father was Thomas Edward (b. 11.4.1856) a schoolmaster in Kirbythore and Justice of the Peace in Carlisle.